The Head of the River Race committee fully support the Port of London Authority Cleaner Thames campaign and we implore all our competitors not to add to the number of waste water bottles littering the foreshore. Competitors can support the Cleaner Thames campaign by taking their water bottles away and recycling them in appropriate facilities. 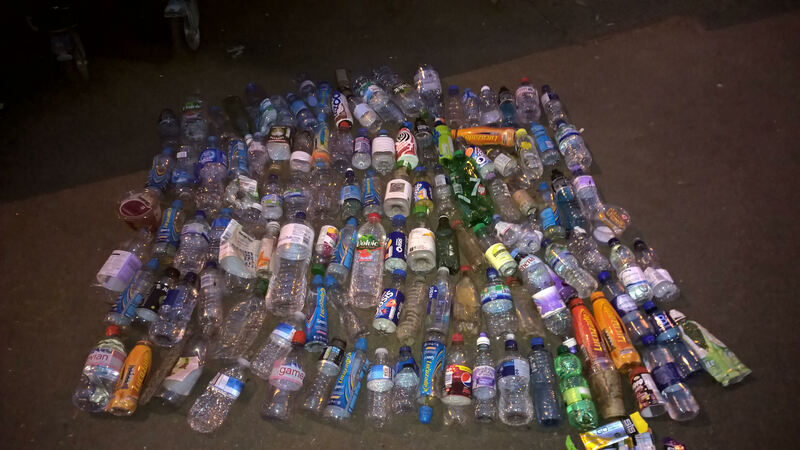 The photo below shows waste water/drinks bottles collected from the Putney foreshore following the 2016 Head of the River Race.